Murray Gilbert and Jono Burgess are off to a great start in Flying 15 fleet as part of the RAYC Winter Series, after finishing 2nd, 1st and 1st in the initial three races. The RAYC Winter Series is held during the cooler months with racing taking place off Bayswater Marina to provide some sailors with some variety. Although Murray now resides in Wellington, he is still an Akarana Member and travels back to Auckland for racing. Sally Garrett and Neil Easton are placed second overall after the first three races. 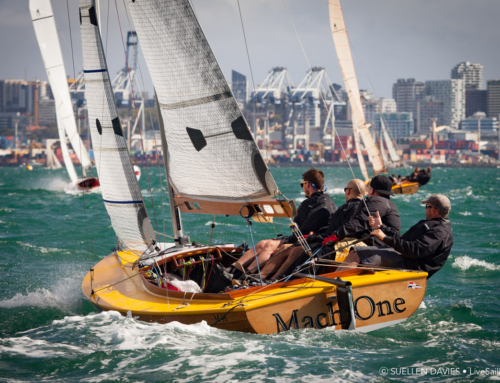 Murray and Jono are the current North Island and National Champions and were placed 3rd at the 2017 Flying 15 Worlds held in Napier.